Appraisals – Why and How? I can’t speak for others in our industry, but as accredited, independent personal property appraisers, we certify the value of virtually any item in a home or business. Look around you. What do you see? The list is enormous … art, appliances, books, china, clocks, collectibles, crystal, electronics, firearms, floor coverings, furniture, lighting, mirrors, outdoor furniture, silver, sporting goods, window treatments … and more. These are the assets that make up your life, the possessions that bring comfort and often, pride. When seeking an appraiser, it’s best to receive a USPAP compliant report – our profession’s highest standard. This is also the standard required by Insurers, Government Agencies like the IRS, and the Courts. My father continues to be one of our most productive appraisers in his cozy poolside office in Naples, concentrating primarily on certifying the values of items located all over the country. How is this possible? The quality and ease of sharing digital images online has brought within our reach thousands of additional items every month. How is the appraisal information gathered? We draw no conclusions or discuss value information onsite. We analyze the data, identify the items, perform market comparable research (compare your item to other exact, or similar like, kind, and quality items in the market), determine value, and produce the detailed report in our appraisal office. The great news is your local inventory professional, as part of their valuable service, gathers the exact information we need in order to appraise and certify. Better yet, you can receive our experience, resources, knowledge, and industry leading reports at a fraction of what it would cost to have us actually visit. By working with your local inventory service, you won’t overpay or compromise on the quality of the appraisal because of where you live – your inventory professional can serve as the examiner for our expert service. Ray Nugent III is a senior appraiser of personal property. 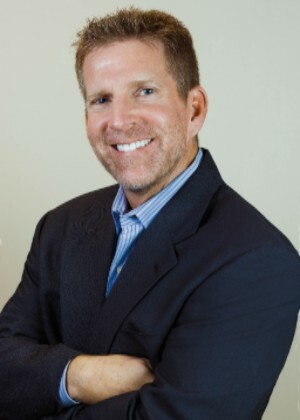 Educated and trained as an appraiser by the American Society of Appraisers, he has managed his family’s appraisal firm, Nugent Appraisal Services, since 2005. Ray serves as an Expert Witness, supporting the firm’s certified reports in cases of litigation. He also speaks in front of professional organizations where he explains and advocates for the appraisal profession. Ray’s wife Gwen is an ISA trained appraiser and his daughter Olivia is the firm’s GIA trained Gemologist.